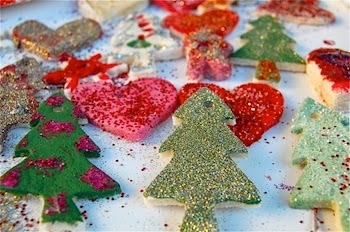 Bake in an oven at approx 180C for 20 minutes, then paint and/or varnish or add glitter to make your own unique decoration. Perfect for giving as a gift, or if the kids have helped you, keeping for sentimental reasons, they can even be re-used for years to come. If you are truly inspired by all things Christmas then take a look at 24ace.co.uk/christmas where you will find a wide range of Christmas gifts, trees, cards, wrap and decorations almost all year round as well as Craft material and Craft kits.